Both structures are perfectly situated to capture mountain to ocean tropical cross breezes for natural cooling throughout. 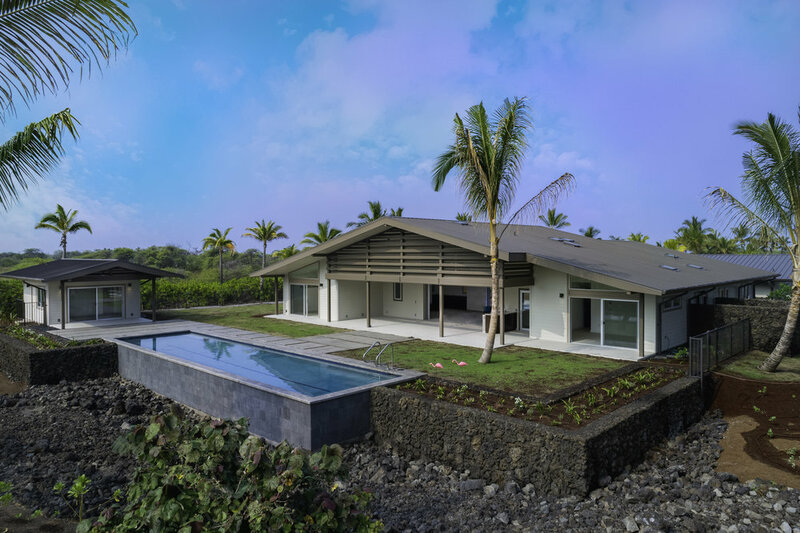 Centrally located within one of Hawaii Island’s most exclusive, gated residential club communities – Kohanaiki on the spectacular Kona Coast – the home is located in close proximity to the resort’s ocean and golf club amenities, as well as the beautiful white sandy beach. Overlooking the 8th fairway of the 18-hole championship golf course, the home enjoys broad views of the course, its premier water feature, and majestic mountains to the east. 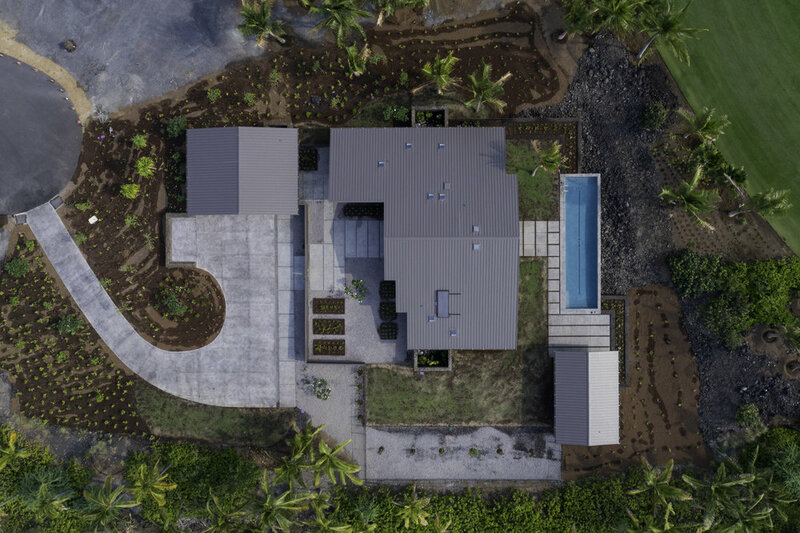 Convenient and private, the home sits at the end of a cul de sac that borders one of Hawaii Island’s National Parks – the scenic Kaloko-Honokohau National Historical Park. 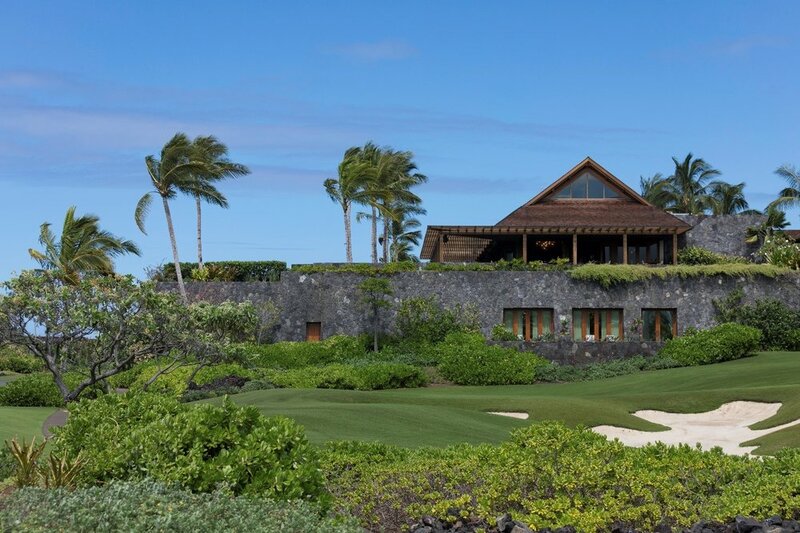 The spacious estate incorporates classic Hawaiian-style architecture with its open floor plan, vaulted ceilings, and seamless transition from indoor to outdoor living areas. A large lanai with built-in grill is perfect for entertaining and fronts the expansive lap pool. The large dining area and spacious lanai with built-in grill are perfect for outdoor entertaining. The great room features a stunning, sophisticated custom kitchen with two stainless steel sub-zero refrigerators and towering vaulted ceilings. The peaceful and private master suite includes a lush, tropical shower garden. 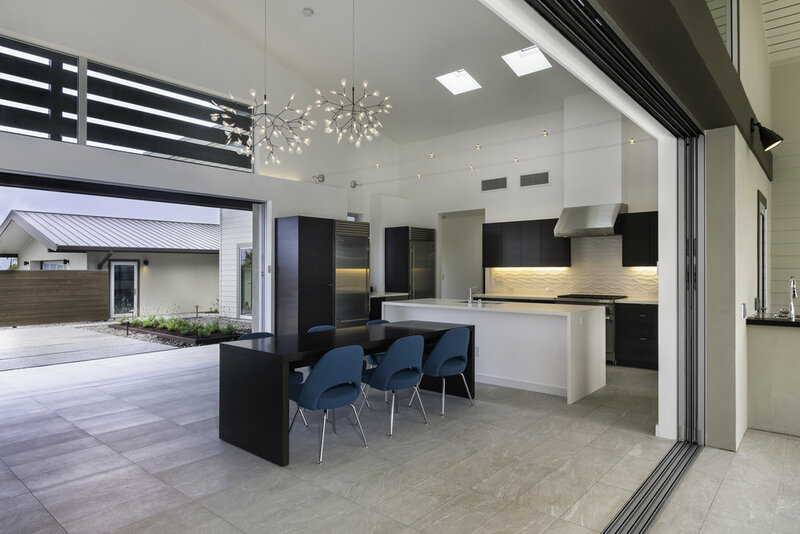 Beautifully outfitted sleek and efficient kitchen and dining space. Private shower garden off of the master suite. Stellar quality is evident in all details and finishes from countertops and flooring to light fixtures throughout this contemporary, casually elegant home. 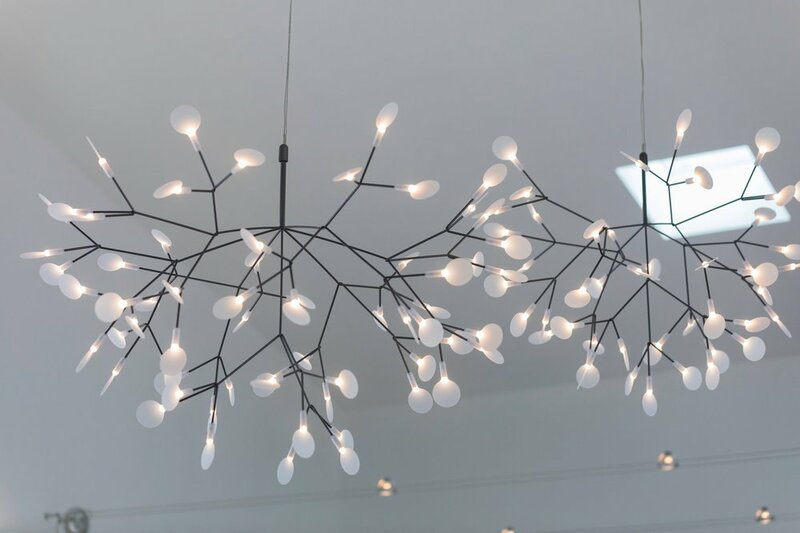 Artistic modern chandelier in dining room. Kohanaiki’s world-class amenities include the Rees Jones-designed championship golf course, expansive beach club, a sports complex with tennis, basketball and batting cage, and gorgeous, multi-tier clubhouse housing a state-of-the-art fitness center, spa, lap pool, bowling alley, movie theatre, and two restaurants. A professional team of ocean sports experts also provides homeowners with numerous adventures on — and off — the property.